A must-try staple at Indian and Pakistani restaurants around the world! 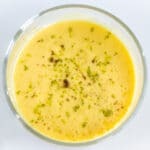 Mango Lassi is, in essence, a mango and yoghurt smoothie. Refreshing, tasty, and great for your stomach. Have it on its own or just after a meal. Besides, it only takes five minutes to make! I love mangoes. They are, without a doubt, one of my favourite fruits. However, I rarely pick any up at the store. Why? Because I’m terrible at cutting them. And that’s especially weird because I’m generally rather good with a knife. I got a friend to cut the mangoes up for me. Genius! Let me know what you think by commenting below, and please do share the recipe! For updates, follow me on Facebook or Tumblr, or subscribe via email using the link at the bottom of my page. Refreshing, tasty, and great for your stomach! 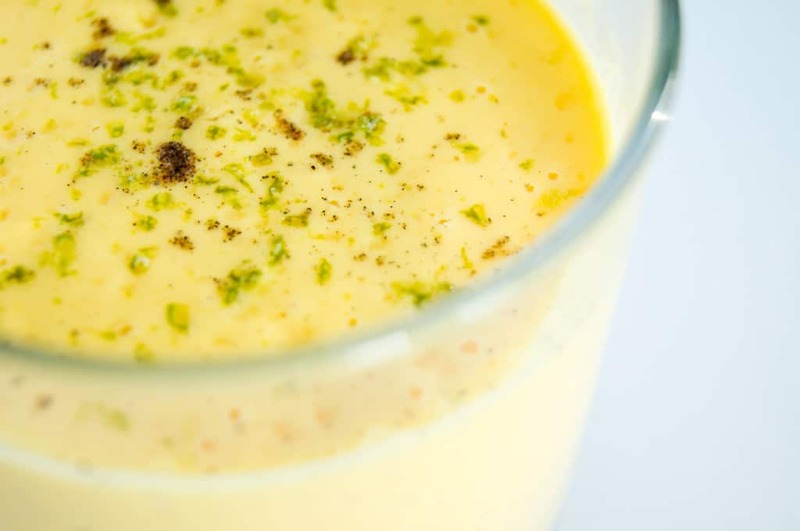 This super easy Mango Lassi recipe is something you have to try. Besides, it only takes five minutes to make! Blend the mango, yoghurt, milk, and sugar together until smooth. Pour into two glasses. The end. 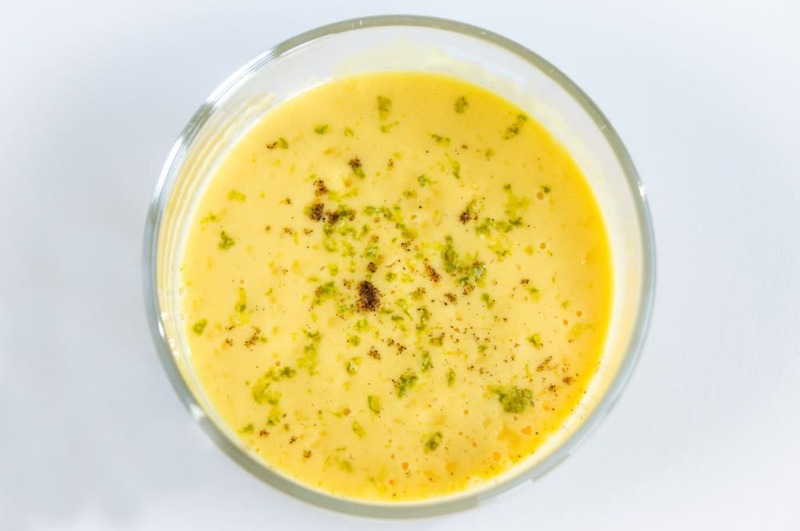 Ground cardamom is the traditional garnish to Mango Lassi – I personally love to add a little lime zest to it as well. Mango and Lime just work so well together! How nice of your friend to cut up the mango for you, Riz! Mmhmm, that’s right! You’re welcome! I love mango lassi! 🙂 Can’t remember the last time I had it, so I definitely gotta make one soon. I think it’s about time you had another mango lassi! Hope you enjoy it Sina!! These look amazing and make me wish so badly that I wasn’t allergic to mango! Do you think I could make it with another fruit? Hey Jenna! I feel your pain, I’m allergic to apples and I hate it when I can’t try something that looks delicious because of it! Alas, a mango lassi without mango is no longer a mango lassi. ‘Tis one of life’s great tragedies. However, you can certainly swap the mango for another fruit and make your own type of lassi. I’ve known people to make apple, and banana lassis. 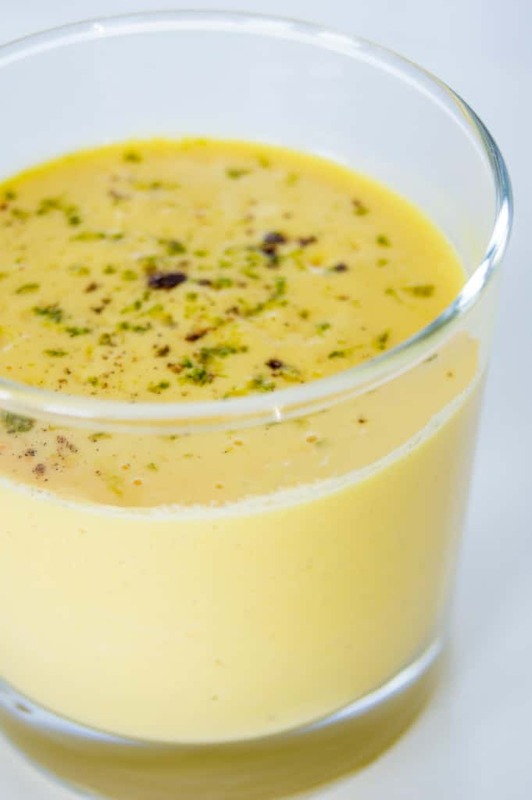 If you’re looking for a recipe idea – I’d love to see a passionfruit lassi (be sure to tell the world I gave you the idea!! haha). Alternatively, you can just try my Orange-Blueberry Smoothie recipe. Thanks Anne! I have similar memories! Thanks for sharing! That seems so yummy !! You’re welcome Ann, thanks for your comment! I just bought a case of mangoes and there sitting on my counter, calling to me! I like the addition of cardamom in your recipe. Must try! Ah, perfect timing then! Enjoy! I’ve never tried a mango lassi and I feel like I’ve been missing out! Your photos look amazing. I can’t wait to give this a try! I hope you enjoy it Jo! I, too, love mangoes! This lassi looks amazing! That cardamom must be really nice in there. 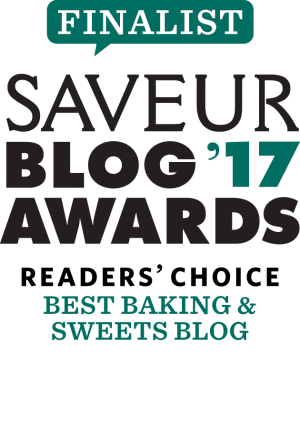 Hi Cathy, I think the cardamom brings a nice contrast to the flavour!